A self-determination/devolution referendum was held yesterday in Greenland, part of Denmark. 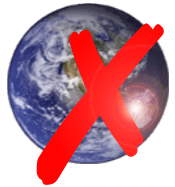 The proposal will will expand home rule in 30 areas, including police, courts, and the coast guard, give Greenland a say in foreign policy and a more definite split of future oil revenue, and make Greenlandic the sole official language. However, subsidies from Copenhagen would be phased out (which represent a major part of the local economy). On a turnout of 71.96% of the approximately 39,000 voters (majority Inuit), the proposal passed overwhelmingly. Ivittuut municipality (entirely composed of the Danish naval base in Kangilinnguit, whose population is mostly military personnel) voted no with 75.38% (49 votes). Pituffik town (Thule Air Base), which is strangely counted in Nuuk municipality also voted no with 56.06% (37 votes). The blue area on the map is a national park, and polar bears don’t vote, sadly. 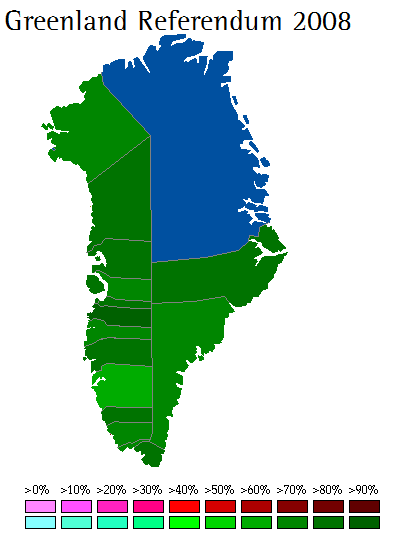 The yes passed with 63% in Nuuk, which was the only division to vote for the anti-independence Democrats in 2005. In the city of Nuuk itself, the capital, the yes also passed with over 60%. 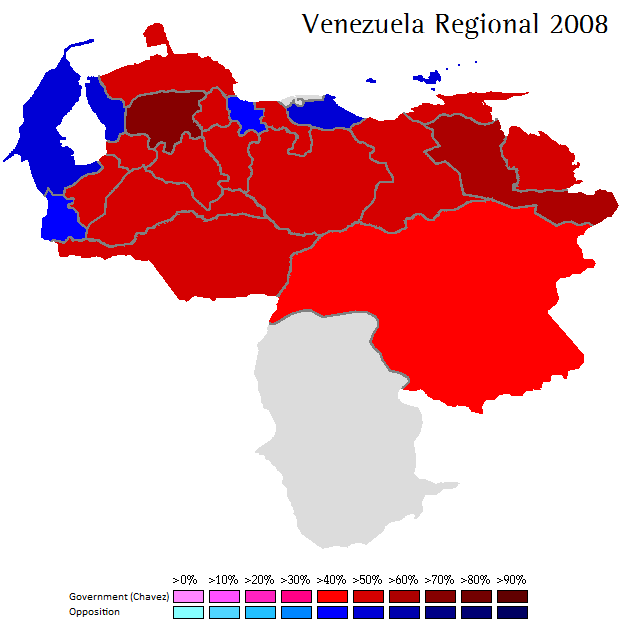 Regional and local elections were held in Venezuela on Sunday November 23. 22 governors (Amazonas was elected in 2005, and not 2004), 2 metro mayors (including Caracas), 328 mayors and 251 alderman were up for election. This was also the first election since Hugo Chavez founded the PSUV in April of this year. In addition, outspoken Chavez critic Antonio Ledezma (Fearless People’s Alliance) was elected Mayor of Caracas (metropolitan mayor) with 52.4% against 44.97% for the PSUV-Chavista candidate. A snap election was held in San Marino on November 9. The last election saw a Social Democrat (20)+centrist Popular Alliance (7)+United Left (5) coalition victory. Since then a new electoral law was approved imposing an electoral threshold of 3.5%, coalitions, two-round elections and a majority premium for the winning coalition. In June, the Popular Alliance left the government coalition, bringing down the government. This despite an attempt by the PSD to form a “government of 31”, supported only by 31 members, but 2 of its own members left and formed “Arengo and Freedom”, which ran candidates in the PDCS list in this election. Elections were held in Trento, just south of Bolzano (see previous post on those elections) on November 9. The voters also directly elected their President. Elections were held in New Zealand on Saturday and the centre-right Nationals under John Key defeated the incumbent Labour-led government of Helen Clark. The new coalition is likely to be formed by the National Party, and the classical liberal ACT (5 seats) and perhaps the centrist United Future (1 seat). Here are the full results. New Zealand uses MMP where each voter votes for a local rep in his constituency and for a party in a list vote. E refers to electorates (constituencies) won, and L refers to list seats won. To win a list seat, a party must win over 5% of the votes or hold atleast one electorate. There are 70 electorates in total, but 7 of those seats are special Maori electorates (Maori voters can choose whether they vote in an electorate or in a Maori seat). 52 seats are allocated through party-list proportional representation, for a total of 122 seats (maj 61). The seats are allocated using the Sainte-Laguë method. NZ used FPTP for a while but changed to MMP in the late 90s. FPTP produced some very unproportional results (I’m thinking of one where SoCred won like 20ish percent and like 1/2 seats IIRC). Wikipedia has a map showing the colours of the electorates following this election.